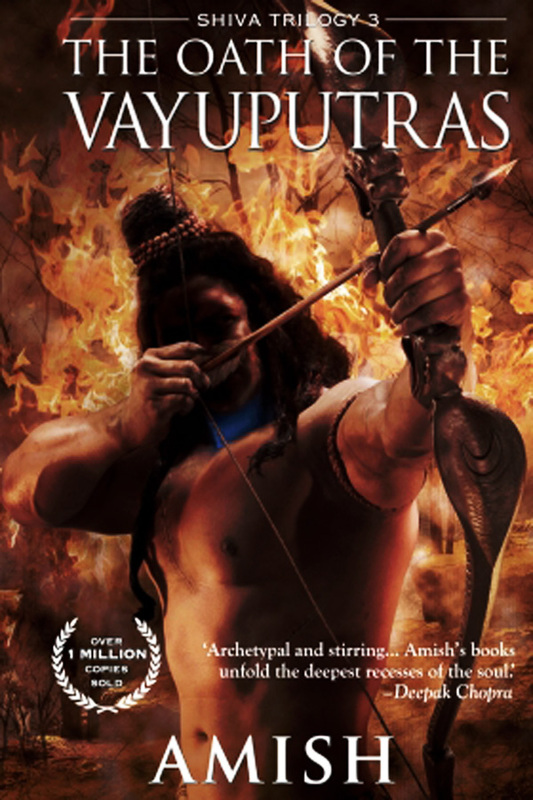 The Oath of the Vayuputras is the final book of the Shiva Trilogy. In the earlier books of the trilogy, Shiva finds out that the Nagas are not his enemies and joins hands with them to reach the root of all evil. This book will have answers to `the Neelkanth’s` questions about his fate, the choices he made previously and karma. Further, in the concluding book of the trilogy, Shiva reaches Panchavati, the capital of Naga where he will come face to face with his greatest enemy. Will he win the battle over his wicked enemies, who are out to destroy him and his legacy. The Oath of the Vayuputras will also reveal the reason of Shiva`s close friend Brahaspati`s disappearance and reappearance at the end of the second book, The Secret of the Nagas. Further the relationship between Daksha, the king of Meluha and the mysterious temple priests will also be exposed in this last part of the trilogy. Shiva seeks helps from the Vayuputras in the quest to conquer all evil. The great warrior will encounter the real intentions of some characters he deemed to be close to him. Some new characters will add that extra vitality to the entire plot, especially Shiva`s greatest enemy whose name sends shivers down the spines of many great warriors.